Vitamix commercial grade blenders are widely used and loved in the kitchens of professional chefs around the world. 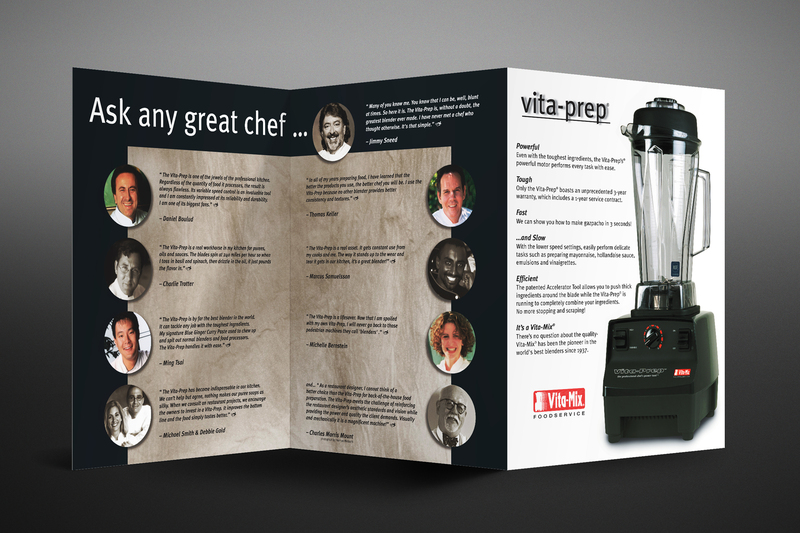 The brochure design for the new Vitaprep blender for professional chefs taps into the respect of premier culinary experts who use Vitamix products. 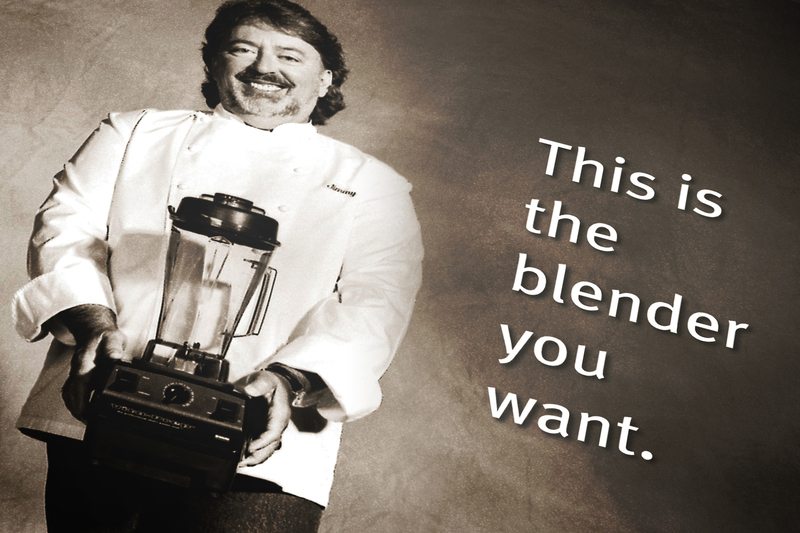 Packed full of familiar names and faces, actual testimonials from leading chefs reassure and confirm the quality of the new Vitamix Vitaprep system.